Made of Canvex polyester, this gray m-Trekker SH150 Shoulder Bag from Lowepro is designed for professional photographers working with compact equipment. 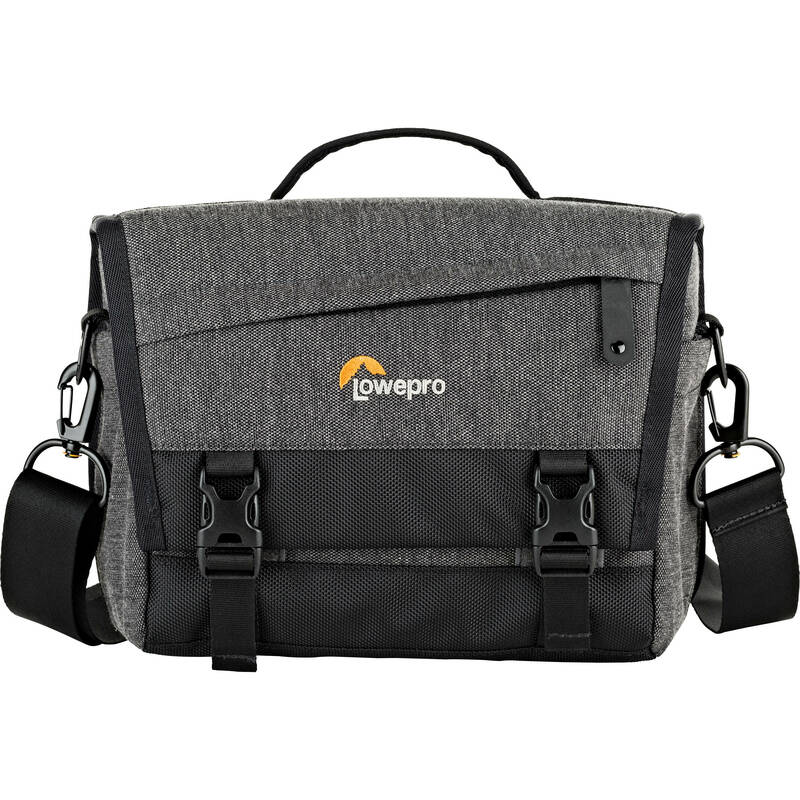 The main compartment has padded dividers for protection and can hold a mirrorless camera with an extra lens or flash, plus a tablet up to 10" wide in a dedicated back pocket. A mesh pouch inside the lid interior keeps a memory card easily accessable. The interior closes with a zipper and measures 10.2 x 3.9 x 6.7". A secure front flap attaches via two quick release buckles to provide protection against the elements in rain or snow. Exterior zippered pockets on both the front and the back are useful for storing everyday items such as lens caps, keys, or even your passport. Stretch pouches on each side hold small accessories such as batteries and straps. The bag has a detachable shoulder strap for comfortable carrying while shooting as well as an integrated top handle. Box Dimensions (LxWxH) 11.25 x 8.5 x 5.25"